Total energy expenditure, as the name suggests, refers to the total energy consumption of yours per day. It refers to how much energy you spend in a day in order to do your very basic life activities. Now, people have different routines and so, their total daily energy expenditure depends upon that too which means, everybody has a different value of TDEE. Some might have exercises in their activities while either might not, some might prefer walking to their schools or offices rather than going on a vehicle and etc. so there are many factors upon which the total daily energy expenditure depends. EXPENDITURE OF CALORIES, WHAT DOES IT MEAN? Calorie refers to the amount of energy that is always gained from the food one consumes. The bonds in the food are broken down which result in the release of energy. The release of energy is then used for a number of different purposes for instance, using the energy to carry out daily life activities. This term refers to the expenditure of calories for the use of energy in order to carry out the normal functioning of life. The Caloric balance is divided into two categories, positive and negative caloric balance. The positive caloric balance is the term which is used when you consume in more calories than you expend and vice versa. People do discuss what to do and what not to when a person consumes much more than the calories an average person needs each day, but no one puts a focus on what happens if there is NO proper intake of calories, however, it is equally dangerous as the excess is. If your body has no proper intake of calories, then you are most likely to develop many diseases. For example, your body needs energy to keep your organs functioning, and if it does not get the required energy, then it starts using up the stored energy. The processes and the reactions are not carried out like they should be which accompanies many illnesses. A person who does not consume in proper calories feels weak and less active. It is extremely hard to concentrate if the calorie consumption is low because even for the brain to function, you must properly consume the calories. Most likely, there is unbalance in the electrolyte and gastrointestinal distress. We do not always realize how important keeping a check on the daily energy expenditure is. 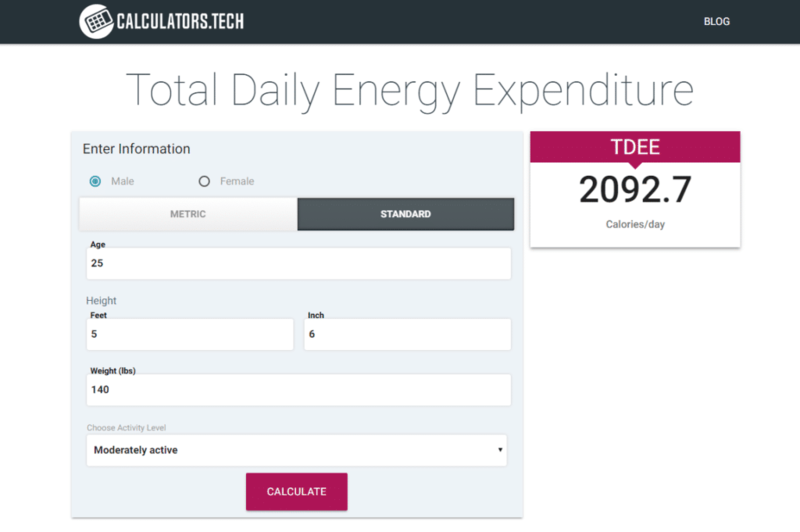 But, with this TDEE calculator, you can keep a record of your daily calorie intake and the expenditure. This simple calculator gives you hundred percent correct results without making you go through all the complex formulas and all the difficult calculations. 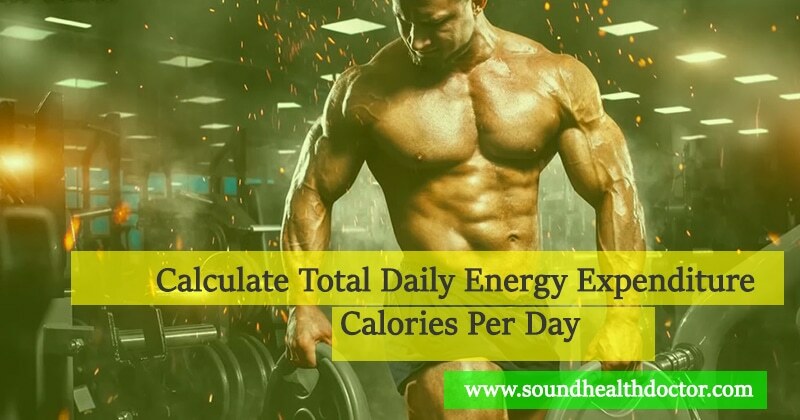 Just by adding some information, you can easily calculate your total energy expenditure. This TDEE calculator helps you know how much calories you need per day to attain a balance with your body.